The number of 'significant' attacks jumped by more than 50 per cent in the last three years. 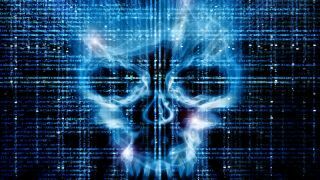 ‘Significant’ cyberattacks, those targeting government agencies, defence companies and financial institutions, have grown by more than 50 per cent in the last three years. This is according to a new report by Linklaters, a global law firm. The company’s report says that a total of 67 ‘significant’ incidents occurred in the period from January to October last year. Back in 2016, we’ve had 41. These incidents have cost the organisations more than $1 million. Both North Korea and Iran have upped their ante in the past couple of years when it comes to cyberactivity. These countries have been accused on multiple occasions, of staging serious cyberattacks against government and financial institutions around the world, stealing personally identifiable data. North Korea is being accused of seven incidents last year, compared to three in 2016. Iran is being linked to six, compared to one, two years ago. Tanguy Van Overstraeten, TMT partner at Linklaters, said: “As the number of cyber incidents continues to rise and cybercriminals become more sophisticated, it’s likely we’ll see new technologies become increasingly vulnerable to exploitation. These two countries are joined by Russia, who has also been accused by the West of staging malicious cyberattacks against British political institutions, businesses and media.